All businesses with 4+ yards of waste service per week are required to recycle per California AB341. All businesses generating 4+ cubic yards of weekly trash are required to establish an organics diversion program per California AB 1826. 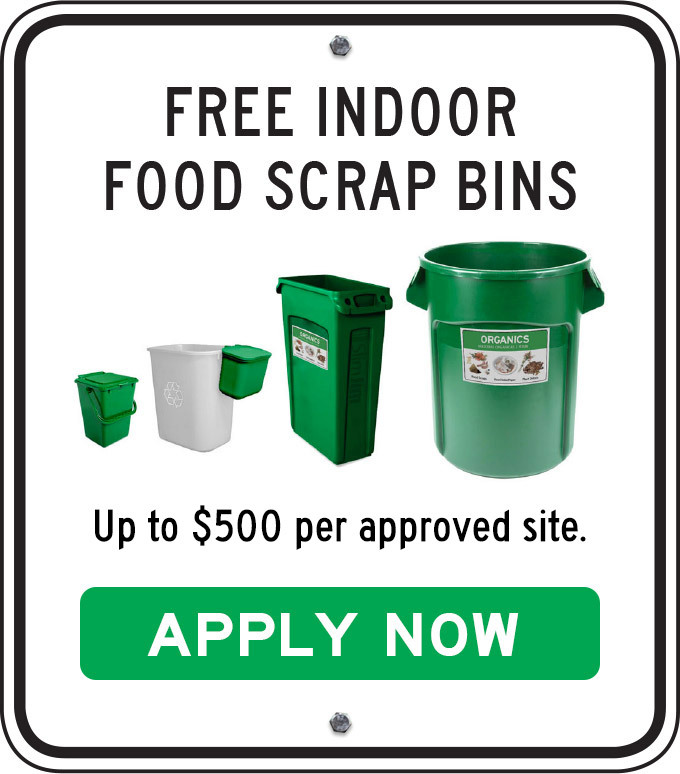 Create custom wall signs for recycling, organics, and garbage. Check out AVI's commercial recycling guide. AVI offers a 50% discount on all commercial food waste/organics collection services, including the new organics cart service for businesses. For more information about free assistance and resources, visit the AVI website. You can get free mixed recycling bins for your clean dry paper, cardboard, glass containers, plastic bottles, and metal cans through AVI. Visit the AVI website for more information, free assistance, and resources for recycling. Hazardous waste should be taken to the designated facilities for proper disposal.